A person can be affected by different types of anxiety such as generalized anxiety, social anxiety, phobias, panic disorder, and obsessive compulsive disorder. Each of these disorders differ in their presentation and cause. Some symptoms a sufferer may experience may be; shortness of breath, palpitations and/or persistent negative thoughts. 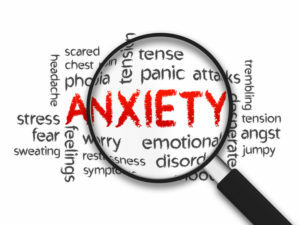 More severe anxiety can be experienced with the same symptoms but they can be so debilitating that they prevent the person from participating in normal day to day activities, such as not leaving the house, or being unable to communicate or socialize. Chemicals transmitted from one nerve cell to another, known as neurotransmitters can be the culprit behind anxiety and/or low moods. These neurotransmitters are chemicals that transmit information from one nerve cell to another. There are many neurotransmitters but 6 neurotransmitters, (serotonin, GABA, dopamine, noradrenaline, adrenaline, and glutamate), are the most researched in relation to their effects on mood disorders, hormones, sleep, glucose/insulin balance, pain perception, appetite, and cognitive function. Low or high levels of neurotransmitters are observed in various mental health disorders, such as low moods, attention-deficit hyperactivity disorder (ADHD), Parkinson’s disease and panic attacks. An example of a neurotransmitter that most of us have heard of is serotonin, this neurotransmitter regulates mood and appetite and low levels may be associated with low moods. High levels of the neurotransmitters GABA, adrenalin, and glutamate can result in anxiety and stress. As naturopaths we try to balance these neurotransmitters. 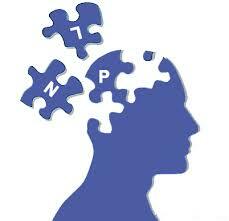 Initially testing may be utilized to determine if these neurotransmitters are high, low or unbalanced. After getting the results of these tests we then administer a range of dietary advice, nutrients and herbal prescriptions to help increase or reduce the necessary neurotransmitters for the brain. The ultimate goal of the naturopath is to help the body realign itself. Many nutritional supplements and whole foods can help our bodies produce neurotransmitters; nutrients such as B vitamins, Magnesium and Zinc, and some amino acids, therefore these supplements are usually added to the script for mental health conditions either as a supplement form or from food. In addition to nutrient supplementation and dietary advice we also teach mediation and Erica combines the physical naturopathic treatment with Neuro linguistic programming. This is a type of counselling that helps a person resolve the cause of the problem quickly and effectively. It enables the brain to rewire itself and build new pathways for improved processing. Combining both mind techniques for resolution with personalized dietary changes and supplementation can make huge inroads to anxiety sufferers. Eric is a Clinical Naturopath and NLP Practitioner. Her approach to natural medicine is to treat both issues of the mind and body that contribute to both mental and physical disease. Erica combines leading edge techniques of NLP, Time Line Therapy™ and Hypnotherapy, to empower her clients to achieve exceptional results. To make a consultation with one of our practitioners click here, or contact us at the clinic on (03) 9686 2566.